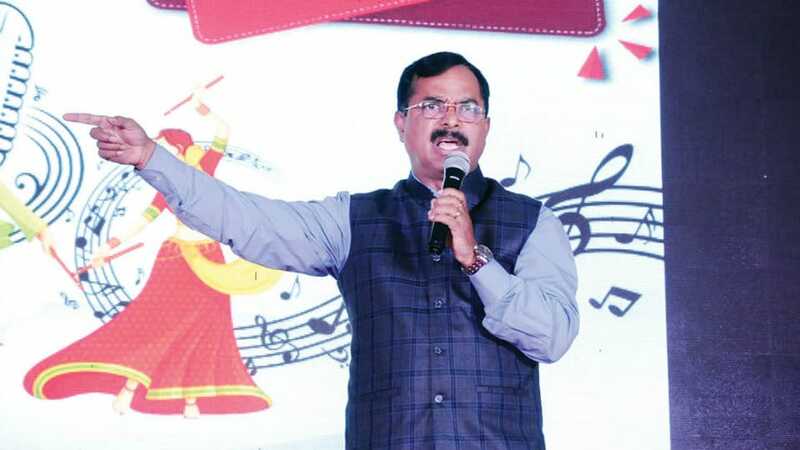 Mysuru: “Organising an education fair is not easy, it is a big challenge, but Star of Mysore Education Fair was a big success in the first attempt itself,” said FKCCI President Sudhakar S. Shetty. He was speaking after picking up the winners through lucky dip on the concluding day of SOM Edu fair last evening. He said that there would be no hiccups if one is brave to do good works and Star of Mysore Education Fair is an example for it and lauded Star of Mysore Managing Editor Vikram Muthanna for organising the Edu Fair which benefited thousands of children and parents. He further said that the role of parents is very important in shaping the future of their children and added that this responsibility should not be given completely to teachers. Stating that there were more than 20 crore people addicted to WhatsApp which is reducing the memory power, he said that awareness should be created among children about the over use of technology besides suggesting that more time should be given to discussions pertaining to education. “Children are the future of the country. We should guide them in the correct path and provide education to make them stand on their own feet. If we do not correct their mistakes and provide them knowledge, we are destroying their future. This Edu Fair was also useful for teachers,” Sudhakar S. Shetty said. Stating that he would not get sleep if he doesn’t read Star of Mysore as he is addicted to it, Sudhakar Shetty said that Mysooru Mithra, the sister concern of Star of Mysore was loved by all besides stating that Star of Mysore Editor-in-Chief K.B. Ganapathy points out the ills of the society and mismanagement in the administration directly and fearlessly. Walking on the path of his father, Sudhakar Shetty said that Vikram Muthanna was successful in his new venture in the field related to education in his first attempt.